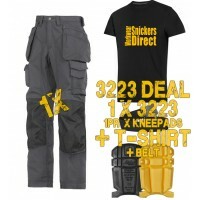 Check out our offers on Snickers 3223 Floorlayers Trousers. 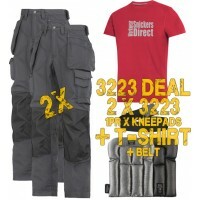 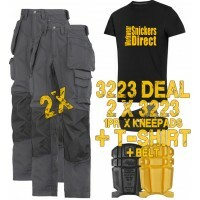 Discover our range of bundles and offers at Snickers Direct which include Snickers 3223 Floorlayers Trousers. 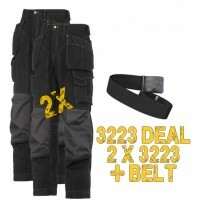 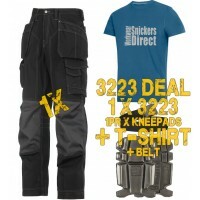 Snickers 2 x 3223 New Floor Layers Inc A PTD Belt Trousers, Snickers FloorLayers Model 2 x 3223..
Snickers 3223 New Floor Layers Workwear Trousers x 1 Plus 9111 Knee Pads, Belt, Snickers Direct T-Sh..
Snickers 3223 New Floor Layers Workwear Trousers x 2 Plus 9118 Knee Pads, Belt, SnickersDirect T-Shi..